After defrauding hundreds of real estate investors in the US and Canada, a group of Detroit-area telemarketers are on the lam, sought by US and international authorities on a variety of charges. 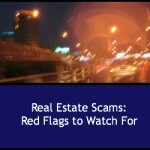 Their all too common story serves as a dramatic illustration of common real estate scams – and the kinds of red flags to watch for. According to a recent post on The Bryan Ellis Investing Letter, the telemarketing scam involved selling Detroit area properties to eager investors for as much as 20 times their actual value. Working out of call centers in Florida and New York, the scammers cold called investors to invite them to take part in a program that involved lucrative house flipping in Detroit, an area well known for its masses of foreclosed and derelict houses. The telemarketer told the investors that the properties had high mortgages exceeding the sale price. But it turned out that the houses involved had been purchased for around $500 –or even less on mortgages under $15,000. And although the investors thought that the houses would be sold to a hedge fund for a hefty profit, the properties were transferred to a front owned by the scammers – for no profit at all. Investors who bought into the scheme frequently bought multiple homes from the scammers. But the deeper investors bought into the scam, the harder it got for them to get hold of the telemarketing company, which used a number of names and kept changing its contact information. Eventually, the company vanished entirely, taking with it over $1 million in sales. So far, 16 telemarketers have been charged with fraud and a number of associated charges. Some have been arrested, but others are still at large, The FBI confiscated $1 million involved in the scam, and the Diplomatic Security Service and other international authorities is still searching for those living abroad. Real estate scams are all too common, as scammers prey on investors’ inexperience, lack of vigilance and eagerness to make money. They come in a variety of forms including variations on the “Nigerian prince” model that has a desperate foreigner looking for help to buy property. Other involve “bait and switch” operations like the Detroit scam, and bogus companies like the now-defunct secure Investments, which strung its investors along with promises of vast profits until it shut down and vanished, taking their money with it. Sketchy or non-existent contact information. The Detroit scam operated out of call centers in other states and kept changing their names. In other scams, contact information might be nothing more than an email address or a toll free number with no physical address. In the Secure Investment fraud, the company’s published address was an office suite in Panama, but it was never based there – and because it existed only on the Internet, it was impossible to trace. A revolving door of third party entities. Scammers often use multiple secondary “companies” and addresses. In the Detroit case, the company itself kept changing its name, making it impossible to track down the originators. In very elaborate scams like the Secure Investment case, money from “investments” is run through a variety of banks and secondary holding companies, often in other countries. And in cases like the “Nigerian Prince” scams, the targets are asked to deposit money into unknown banks and financial institutions, usually offshore. Little or no feedback –positive or negative about the company. In an age of social media, it’s usually easy to find reviews of a company’s performance, or at least a mention in investing forums. But scammers are curiously absent from the legitimate avenues for investors to discuss their experiences. No bad reviews might not mean everything is fine – it just might mean there isn’t that many people participating at all. In the Secure Investments case, the company orchestrated its own positive reviews from its website – and curious investors couldn’t find independent commentary anywhere else. Promises of stunning profits in a very short time. The “get rich quick” scheme has its name for a reason. Most investment schemes promise a big return for a little investment – and the numbers they run may be hard to get hold of, or unverifiable. Ellis, Carol VanSickle. 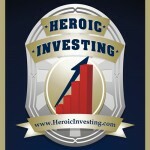 “Scam of the Day: Detroit Scammers on the Run.” The Bryan Ellis Investing Letter. bryanellis.com. 3 Dec 2014. HI35: Your Estate Needs Attention -STAT!